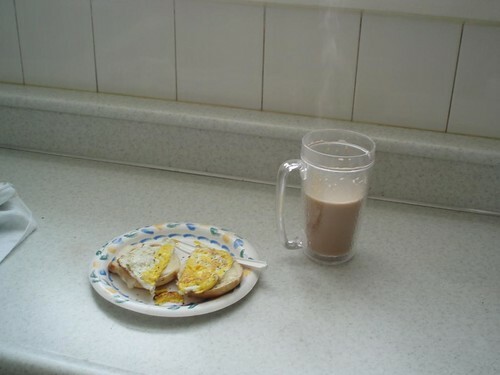 Fried egg and swiss on a toasted onion bagel with a steaming cup of Chai latte. 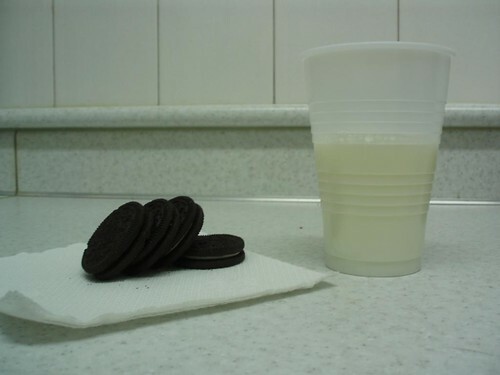 Oreos and milk are the same no matter where you go. There is nothing like having your comfort foods when you are halfway around the world. 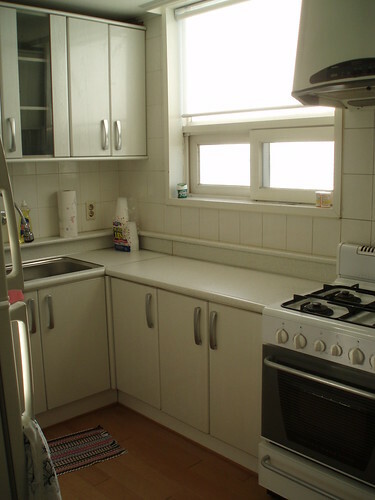 The walls and counter of this kitchen remind me of a stark hospital room. Our landlord won’t let us nail holes in the wall so I am going to have to come up with some creative ways to make this place a little more colorful. Any suggestions would be greatly appreciated.